After a campaign by BiNet USA and bisexuals worldwide, Google has removed "bisexual" from its list of banned words. (Los Angeles, CA, September 4, 2012)--BiNet USA is pleased to confirm that Google Inc. (NASDAQ: GOOG) has unblocked the term "bisexual" from its search algorithm. Now that "bisexual" is allowed, terms such as "bisexual quotes", "bisexual rights", and "bisexual parenting" are automatically suggested to Google users. "It's not every day one of the biggest companies in the world changes its mind, but we are thankful that Google now sees bisexual people just like everyone else," said BiNet USA President Faith Cheltenham. 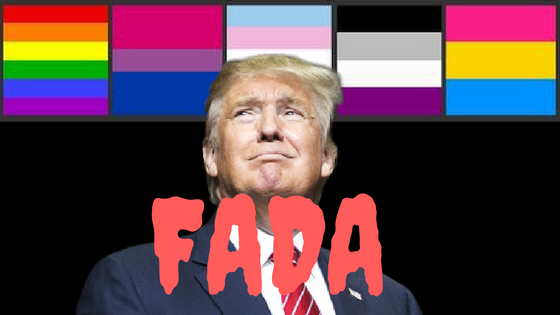 "It will take time for bisexual search terms to be ranked as they were before the ban, but now bisexual people and their allies have a fighting chance to be seen, heard, and understood." Since late 2009, Google has had "bisexual" on a list of banned words; such words were de-prioritized by the Google search algorithm, leading to a drop in search rankings for all bisexual organizations and community resources. Since its search engine would not auto-suggest or auto-complete any term with the word "bisexual", Google made it harder for any user to find bisexual content, whether that be on coming out as bisexual or finding local support groups across the United States and elsewhere. BiNet USA spearheaded a campaign to get Google to unblock the word and stop harming a deeply marginalized community even further. Along with allies and community members around the world, BiNet USA called on Google to stop exponentially increasing the bisexual invisibility field and start treating bisexual people just like gay and straight individuals ("Google's Bisexual Problem"). Said National Center for Lesbian Rights Executive Director Kate Kendell, "We thank Google for making the right call here and for acting as a responsive corporate citizen committed to dignity and equality." 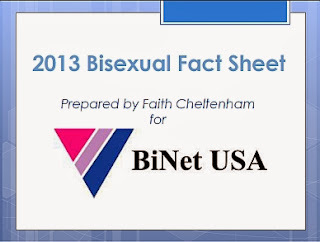 BiNet USA and bisexuals around the world applaud Google for doing the right thing, just in time for the annual Global Bi Pride Day, "Celebrate Bisexuality Day" on September 23rd, 2012.